2017 Fly in information to follow soon. On departure from Rwy 26, please turn 20 deg left as soon as possible to avoid overflying the village. When landing please obey the circuit rules for Rwy 26/08. 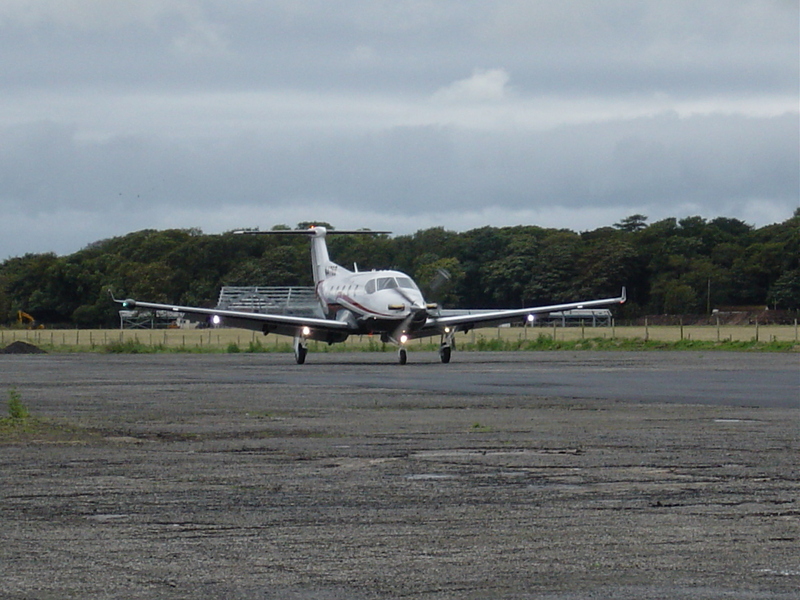 Centred between Northern Ireland, Prestwick, Carlisle, Blackpool, and Isle of Man, this is the only facility for General Aviation in the South West of Scotland.All General Aviation aircraft are welcome within the rules of the airfield. The airfield is unlicensed, and used at the pilots own risk and discretion. The airfield is strictly PPR, due to agricultural, and other activities, and visitors are requested to complete a booking form or telephone using the numbers in the contact section. The airfield is the location of the first recorded fixed wing arrival in Galloway in 1913, and has had a varied history which can be inspected closer on the history page. The airfield has recently been re opened with one active hard runway on 26/08. However the second runway, 15/33 is still in place and will be made available in the future. Of the available 600 metres on 26/08, approximately 9000M/Sq or 450 Metres have been resurfaced, and the remainder extensively patched. The useable runway is 20M wide in the centre of the old runway surface. Please see the aerial photo which is taken from the NE with the threshhold of 26 in the foreground. (Note: further tar work has been carried out, but the photo has not been updated.....yet!). Hangarage is available at reasonable rates, and the airfield itself is available for lease should a club or individual wish to assume full control. The present facilities can be found on the facilities page, and the layout of the airfield can be found on the Map page. I hope everyone who has visited has enjoyed their trip, and we will look forward to welcoming them back again. There is no radio frequency for Castle Kennedy, however Scottish Information can give information on Danger area activity. The Airfield frequency in use is Safetycom, and pilots should use blind calls for Castle Kennedy Traffic from 10NM inbound. I hope this site provides sufficient information, however all suggestions are welcome, and any comments on the airfield will help us to improve the facility, and are both welcome, and appreciated. I hope we will be able to welcome you to our airfield.